In the almost five years I’ve been fully immersed in the social media world (not only in Vancouver and British Columbia but worldwide, as I have built an online network that reaches beyond the confines of Canada and into the United Kingdom, Brazil, the United States, and other parts of Europe), I have grown to hear terms such as “community manager” and I almost shudder at the mention. It’s hard for me to fathom the role of ‘Community Manager’ without feeling that it is some sort of reified notion (see the definition for reification I am using here). In a way, anyone who builds and grows a community organically IS a Community Manager. Whether this community is online or offline, whether you are getting paid for it or not, if you build and grow and maintain the networks and relationships required to build a community, for me you ARE a community manager. Maybe it’s because I have actual graduate training in sociology, because for me the term ‘community’ is somewhat sacred (talk about reification! 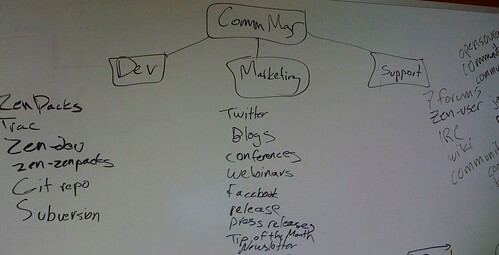 ), I feel a bit uncomfortable with International Community Manager Appreciation Day. I heard about CMAD via Jeremiah Owyang, and I think my friend Kris Krug was looking to organize an event for today in Vancouver for CMAD. All of the above said, I think it’s important to acknowledge those people who build communities, and if CMAD is the right vehicle, so be it. So, Happy International Community Manager Appreciation Day! Does retweeting build community online? Twitter as a real social media platform? Vancouver bloggers – building a community?